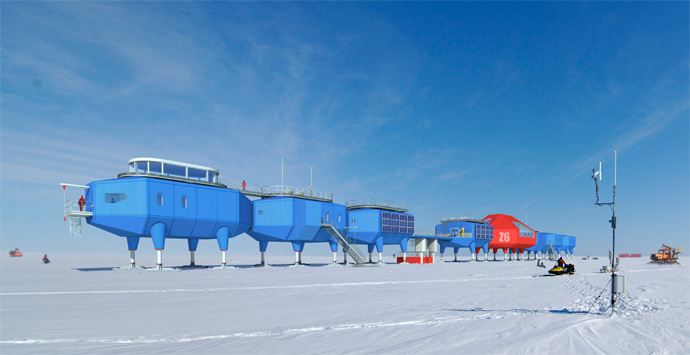 Although it’s sunny outside, I’m writing about Halley, in Antarctica, for a series commissioned by BBC Radio 4. Right now it’s the middle of winter down there and the ‘winterers’ won’t see the sun for another month and a half. It’s hard to imaging minus 50 degrees when it’s warm outside. It’s a 5-part for Women’s Hour, scheduled to broadcast next year. One of the biggest problems I’m having is that it is so safe down there – but of course there’s plenty of space for drama. Imagine being stuck with the same people for about 6 months and being unable to escape? Another is that I have never been there so I’m having to rely on interviews with people who have and books. Ah well, off to stick my head in the freezer for a few minutes. 27 Jun	This entry was published on June 27, 2014 at 9:42 am. It’s filed under Uncategorized and tagged Antarctica, Halley, radio drama, writing. Bookmark the permalink. Follow any comments here with the RSS feed for this post.